Mutual Aid Labs – Better Data. Better Decisions. Multiple agencies and high pressure situations make good decision making a challenge. Shouldn’t the data that you base your decisions and planning on be the least of your worries? The Mutual Aid Box Alarm System creates a reliable method for planning and responding to large emergency incidents. Not only does MABAS create a framework for resource planning it outlines the response of those resources. EMABAS strives to revolutionize MABAS by adding the technological depth that MABAS hasn’t yet had. EMABAS converts box cards from static data to dynamic documents that change as departments and agencies change; EMABAS transforms the manner in which you plan and respond. Dispatchers can quickly access box card data and launch alarms including the translation of the address of the call into the correct box cards. The system also provides for the automatic generation of the paging script as well as resource tracking. The status of the box card and the resources on the card can be quickly viewed and updated, there is even full support for filling any units that pass on an alarm. Any status updates are saved in a timeline for future retrieval by any agency in the division. The statuses and other dispatch information flow between the mobile, rig & desktop versions of EMABAS in order to provide command and units on scene with streaming updates on the status of the Box Alarm. Build and assemble cards from resources in all MABAS Divisions using EMABAS. Changing resources mean changing box cards, the EMABAS system automatically adapts your cards as the resources on them change. View data & cards across divisions during incidents and during planning. Build and maintain your box cards in EMABAS then route them electronically for approval. EMABAS Mobile & Rig versions provide interfaces into the EMABAS system via iPhones, Blackberries and Android devices. 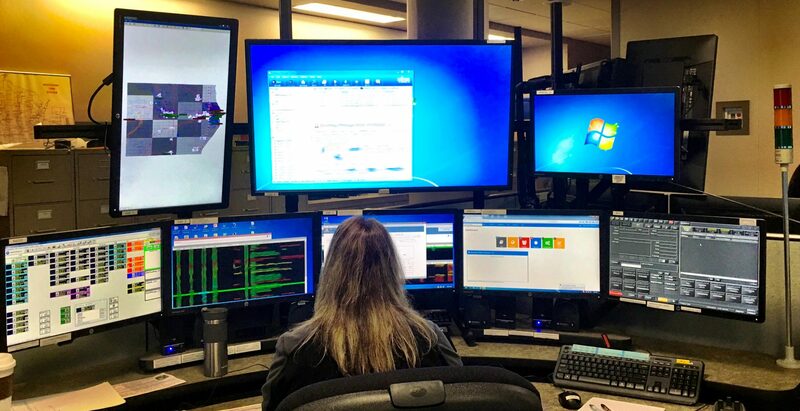 Tablet or laptop devices are able to interface with the dispatch center through an innovative panel that provides a link between dispatch and command. Additionally both the Mobile & Rig editions prove a unique “What Box Am I In?” button matching the current location with geo-tagged data from Box Cards. EMABAS is delivered as Software as a Service so there is no hardware to buy and install, no complex databases for you to manage. A monthly feed guarntee’s you unlimited access to the system. EMABAS already sees your call data, why shouldn’t it alert your agencies members? Receive notifications, responses, directions and much more. EMABAS Respond also incorporates the idea of Critical Alerts, allowing for pre-defined alert messages to be send based on address, geographical area or road. You last chance to visit with us is coming up during lunch! Hope to see you at our booth.